Charlottesville, VA — March 30, 2017 — MBDC proudly announces a collaboration with the newly-formed Fashion for Good initiative, a joint-industry initiative launching today which has the stated goal of transforming the global apparel chain into a force for good using Cradle to Cradle to define its quality. MBDC has joined with Fashion for Good to guide development and lead the certification process for the flagship products announced by the apparel industry accelerator program, the first Cradle to Cradle (C2C) Certified™ GOLD fashion garments, to be made available soon at C&A retail locations worldwide. MBDC is also supporting the organization with a detailed guide for innovation that will allow Fashion for Good innovators to continue to design products that align with the Cradle to Cradle Certified™ Product Standard. Fashion for Good is changing the apparel industry through innovation and new business models. It finds and funds early-stage ideas, and scales proven technologies to be adopted by the industry. Its Apparel Acceleration Fund catalyses access to finance, and its open-source Good Fashion roadmap shares knowledge to help the apparel industry transform. 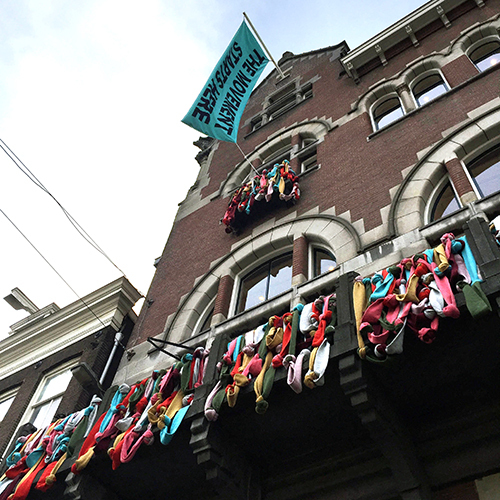 As a convenor for change, Fashion for Good enables conversation and collaboration. Fashion for Good takes a Cradle to Cradle-inspired approach to circular economy product development, aligning product innovators with tools to design the best possible products that take a values-based path to creating value, and eliminate the concept of waste. As part of its work with Fashion for Good, MBDC supported C&A, a leading European fashion retailer, in their work with two of their India based garment manufacturers – Cotton Blossom and Pratibha Syntex – to successfully develop and produce the Cradle to Cradle Certified™ GOLD shirts – an achievement level never before seen in a fashion garment. A noteworthy achievement in the design stages of the products was eliminating all of the sensitizing and halogenated dyes, and instead sourcing and utilizing dyes which MBDC determined would both create a healthy, safe and attractive product and meet Cradle to Cradle Certified™ standards on a high level. “Receiving GOLD under the Cradle to Cradle Certified™ Product Standard was not an easy feat, but ultimately, these products have both surpassed what many have thought possible, reshaping expectations for an apparel supply chain and showing evidence that it is indeed capable of producing widely-accessible products that can fully reenter the biological nutrient cycle and eliminate the concept of waste,” said Howie Fendley, MBDC Director of Projects and Senior Chemist, who worked with supply chain partners to instruct on and assess the products prepared for certification. Fashion for Good is encouraging other suppliers to begin getting their products C2C Certified™ by publishing a Cradle to Cradle Certified™ ‘How-To’ Guide, developed by MBDC and McDonough Innovation. The online guide has practical tips, a series of self-tests to show suppliers and manufacturers how to improve their products and production facilities and a step-by-step guide on how to produce Cradle to Cradle Certified™ products. 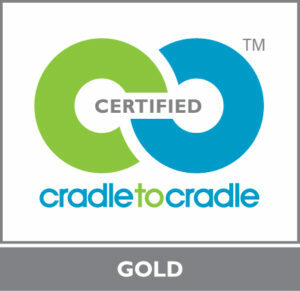 Cradle to Cradle (C2C) Certified™ is an independent, third-party verified certification program that assesses products and materials for safety to human and environmental health, design for future use cycles, and sustainable manufacturing. Cradle to Cradle Certified™ products are evaluated for material health, material reutilization, renewable energy use, water stewardship, and social fairness. Product certification is awarded at five levels (BASIC, BRONZE, SILVER, GOLD, and PLATINUM), with each higher level imposing a more rigorous set of requirements. The lowest score in any quality category establishes the product’s overall score. MBDC is a firm founded in 1995 by world-renowned architect William McDonough and chemist Dr. Michael Braungart. MBDC originated the Cradle to Cradle® Design Framework and leads companies toward positive growth by integrating the framework into corporate strategy, communications, operations, supply chains, and product designs. Using the process of inventory, assessment, and optimization, MBDC provides technical expertise to develop solutions around material health, material reutilization, renewable energy use, water stewardship, and social fairness. MBDC partners with clients throughout various sectors and industries to provide scientific evaluations, spur innovation, and achieve leadership in sustainable design for the circular economy. For more information on MBDC and how to begin the optimization process, please contact us today. Follow @CradletoCradle on Twitter for the latest Cradle to Cradle news. Subscribe to the William McDonough Live YouTube channel to see the latest Cradle to Cradle talks.